Ventura Securities is one of the renowned full service brokers. 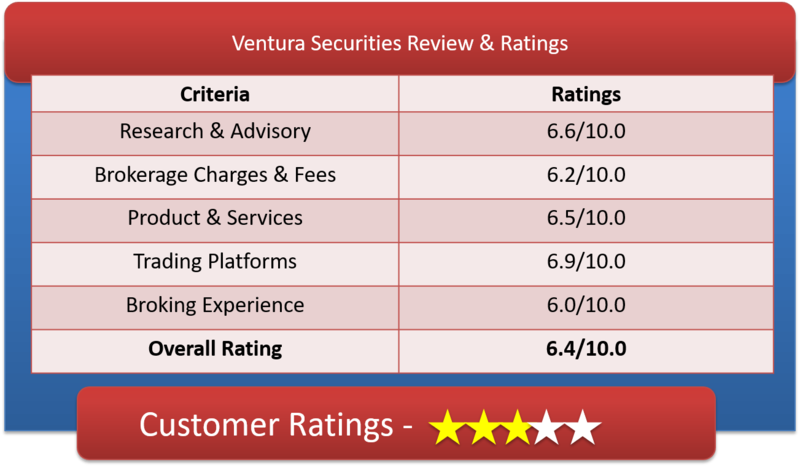 Let us go thorough detailed ventura securities review & check Venture securities demat account. Ventura Securities Ltd. (Ventura) begins its journey in 1994 as a stock broking house. The company now has become a hub for the financial products and services. With the support of a large network of sub-brokers, the company offers you the opportunity to invest and trade in both equity and equity derivatives, commodities, fixed income products, mutual funds and currency futures. Ventura as a full-service broker has its presence at NSE and BSE. It also provides value-based advisory services only to the sectors like Institutions (both Foreign and Domestic), High Net Worth & Retail Investors. It also provides services to PIOs, NRIs, and Foreign Investors. Ventura Securities Ltd. has a depository participant of National Securities Depository Limited (NSDL). Your DP Holdings comes with a customized feature which displays live-market rates to value your current portfolio. 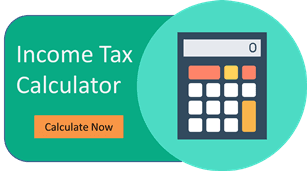 There is no AMC charged on your demat account irrespective of the plan that you choose. Stock Ideas, Quarterly Analysis, Market News, Research Reports, Market Trends are all add on features offer to the clients of Ventura Securities. On customer care side, Ventura Securities have taken their customers care very seriously. They have support available through email, phone and Live Chats. The Ventura Securities brokerage depends on how much money you put initially in the trading account to begin with. It is like the minimum amount to trade which is known as Access Charges. This charge may vary from Rs 1000 to Rs 72000 per year for brokerage ranges from 0.45% to 0.10%. So, the more your min. amount deposited with them, the lesser will be your brokerage rate. And for Rs. 1000 deposited, your brokerage for equity cash will be 0.45% which is almost same as compared to big brokers in the industry like Sharekhan (0.50%), HDFC Securities (0.50%), Religare (0.50%). To take advantage of low brokerage rate of 0.20 % for equity cash, amount of Rs 3500 is ideal. This access charges are refundable less your brokerage generated. For Intraday and Future trade, the brokerage ranges from .05% to .01% again depending upon minimum deposit. Option trading is available as low as Rs 5to Rs 10 per contract, which is a exceptionally cost effectiveas compare to full service brokers such as Sharekhan (Rs 100), HDFC Securities (Rs 100), Kotak Securities (Rs 100), etc. The brokerage on Currency Derivative is Rs. 20/- per lot on single leg of transaction. The Minimum Brokerage is of 2 paise/share for delivery-based transactions & 1 paise/share for Intra-day. Demat Account AMC is Free. Access Charges Validity Options% Mobile Trading? Average to low brokerage rates depend on your initial deposit. Dedicated NRI Service Cell for managing operations for NRIs, PIOs and FIs. User friendly online trading Software “Pointer” for smooth and Hassle free trading. It has a Customized Market-Watch Window, which is user friedly. Details of Scrip like News, Background, Price History, Latest Results, Quarterly results, Profit & Loss, Balance Sheet & Financial Ratios, Capital History, Major Products, Major Raw Material and Director. It has also a separate window for Market Summary, Indices, Action-Watch, Bulk Trade and Fundamental Info. Features of Study, analyze and Trade from the Chart window. You can create your own favorite scrip window and trade from it. Apart from very flexible brokerage slabs they offer PMS starting with Rs 500000/- (five lakhs only). They also provide paid recommendations for trading which is chargeable. It costs Rs 10000 per years. VSL provides low-cost commissions and offer investors a place to go to every day to share ideas, quality customer service, discuss the market and ultimately place trades. Good Place for NRI investors for end-to-end services. But, this firm is still struggling to achieve a respectful position in Indian Brokerage Space. While Ventura Securities does offer cheap trades, everything else about the client experience suffers (Lacking technology advancement) and so many of the clients are better off investing elsewhere.